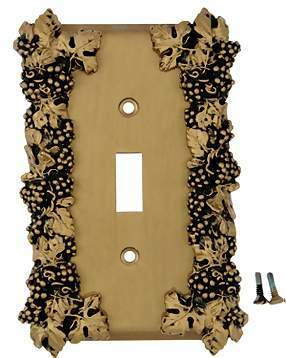 Grapes & Floral Wall Plate (Antique Brass Gold Finish) - single pole design (available in 12 other configurations). Hand finished in the USA. Comes complete with mounting hardware. Available in the configurations shown below. Please choose the desired style in the menu bar shown below.